Deal Call the office for more details on specials! Size Restrictions: Pets must be under 50 lbs fully grown. Welcome to The Nine. 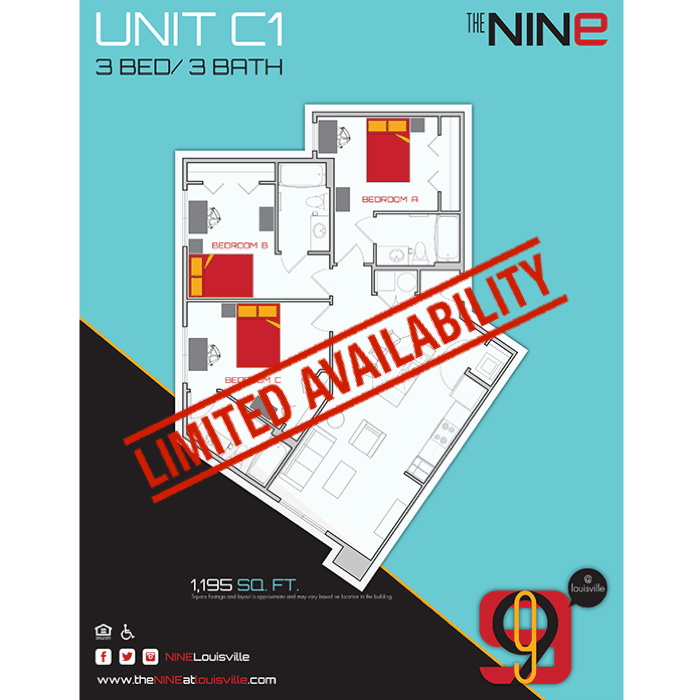 High-end student living paired with unmatched convenience. 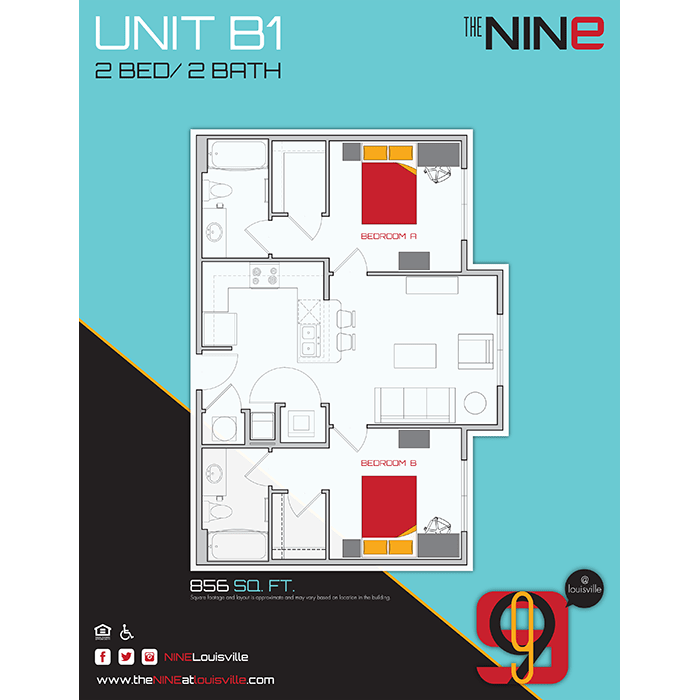 At The Nine, you are granted the tools necessary to take your college experience to the next level. Settling should not be an option during college. That is why we built The Nine: a community that encompasses both luxury and convenience, so that our residents are able to experience a community that compliments their college lifestyle. Located just north of the University of Louisville campus, you’ll be right in the center of it all with the freedom to customize your daily routine as you wish. Welcome home – to a community just as bold as you are. 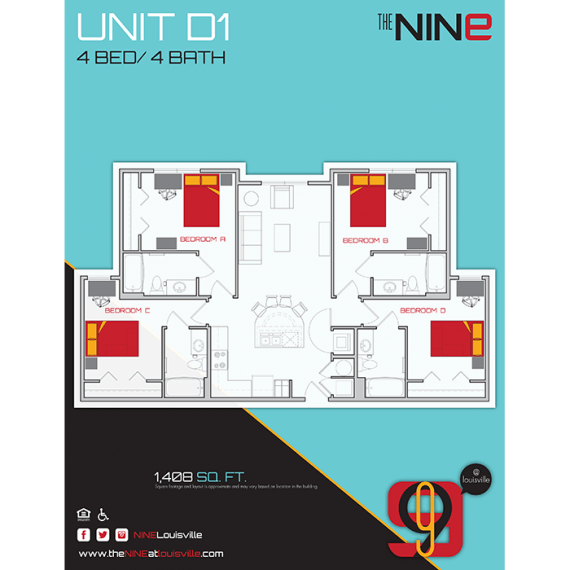 The Nine is located and 0.48 miles from University of Louisville. The property has a Walkscore of 63, so you might need to drive or bike some of the time. The Nine has many shops nearby. Coffee shops in the area include Hard Rock Cafe Louisville, Heine Brothers' Coffee - Longest Ave In The Highlands, Highland Coffee Company. There are a number of markets in the area include Kroger, ALDI, Frank's Meat & Produce.